Eurostar International Limited, the high-speed passenger train operator between the UK and mainland Europe, has today announced its plans for a £700 million capital investment in its fleet. This represents the first key initiative since the recent transformation of the business from a partnership to a single, unified corporate entity¹. The investment in the fleet will be funded privately by Eurostar with a combination of cash and bank financing. 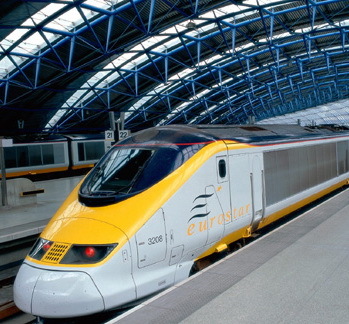 From 2011, Eurostar will embark on a major programme of investment in its rolling stock. This includes the complete overhaul and refurbishment of the existing fleet of Eurostar trains to a design created by Pininfarina. In addition, Eurostar will purchase 10 new trainsets which will complement its existing fleet and ensure it can deliver the best possible service to its passengers as it expands its operations. Following completion of a competitive tender process, Eurostar has advised the participants of its decision to award the contract for the manufacture of new trainsets, subject to negotiation of final terms, to the train manufacturer, Siemens Plc. Built to a bespoke specification, the new Eurostar e3202 trains will be ‘interoperable’. This means that they can operate across the European high speed rail network and can provide direct services between London and a range of city centre destinations throughout Europe. With capacity to carry more than 900 passengers, the Eurostar e320 will have 20 per cent more seats than the existing Eurostar trains which carry 750 travellers. Capable of a speed of 320 kph (200 mph), the Eurostar e320 could see journey times between London and Paris reduced to just over two hours, London to Amsterdam to under four hours and London to Geneva to around five hours. The interiors and external livery of both the e320 and the upgraded existing fleet will be designed by Pininfarina to a specification unique to Eurostar. This design draws on extensive passenger feedback and includes a number of innovative features that will create an exceptional travel experience for customers. In addition to offering a contemporary, stylish environment in which passengers can work or relax, the new Eurostar fleet will be equipped with the most advanced wi-fi and on-board ‘info-tainment’ on any train in Europe. This will include real-time travel and destination information as well as interactive entertainment including video-on-demand, music and news-feeds. At 400m long the Eurostar e320 trains are the optimal length to take advantage of the tunnel’s unique, in-built safety features and allow direct easy access to the Eurotunnel service tunnel in the event of an evacuation. The trains will also comply with all the existing fire protection requirements of the Channel Tunnel. At a media briefing the Secretary of State for Transport, Rt Hon Philip Hammond MP and Nicolas Petrovic, Eurostar Chief Executive, spoke about Eurostar’s plans for investment and future expansion in an open access world. This briefing was followed by a photocall in front of the new Eurostar e320. Nicolas Petrovic, Chief Executive of Eurostar, said: “Over the last 16 years Eurostar has revolutionised travel between the London, Paris and Brussels but our sights are now set on expanding our business across Europe. The transformation of Eurostar into a standalone business and the major capital investment announced today is a mark of our growth ambitions for the future. The combination of our new state-of-the-art trains and our refurbished fleet will assure our position as the leading rail operator between the UK and the continent and make us the obvious choice for short haul European travel."